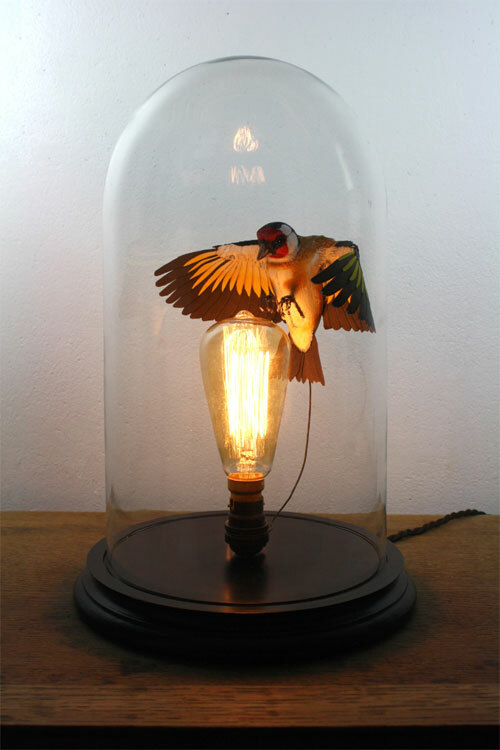 London based sculptor Zack Mclaughlin's spectacular sculptures have been featured on the blog in the past here. 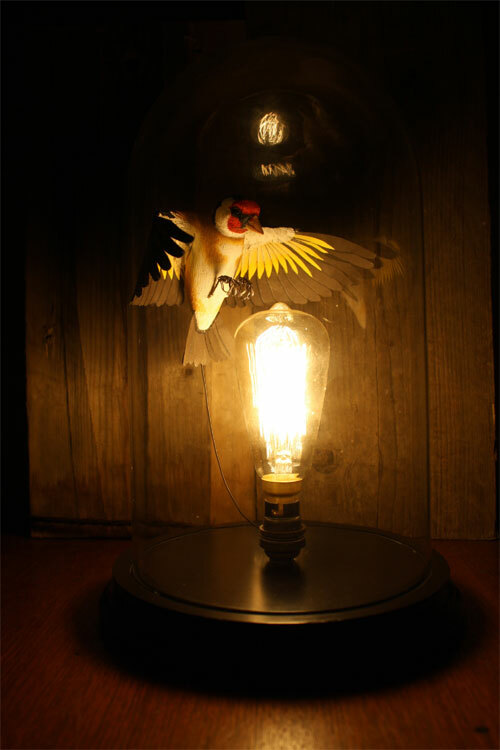 While browsing through his website in hope of some more exciting and new work by him, I came across these stunning lights. 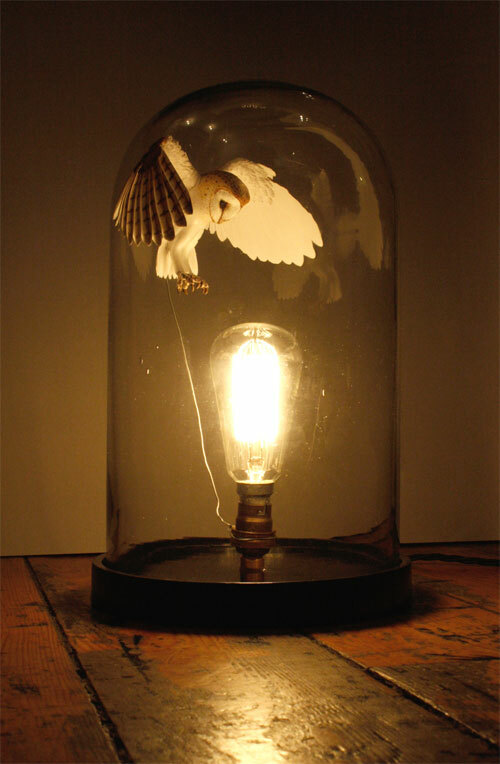 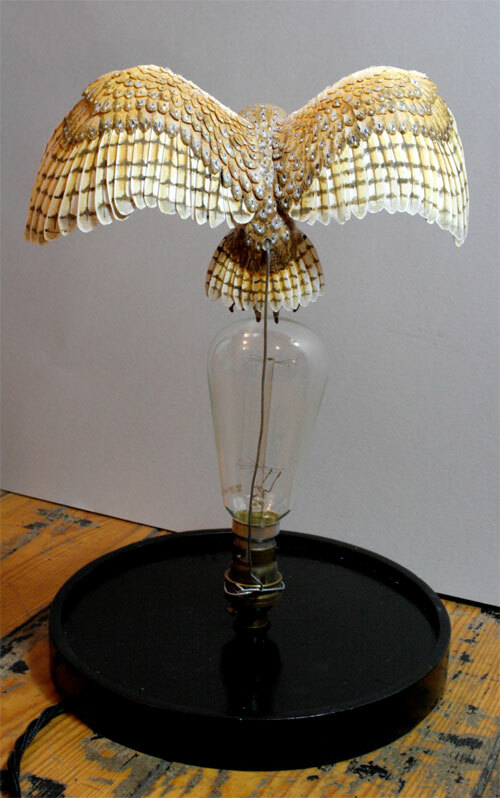 The Barn Owl and Goldfinch light is completely made by hand, using paper to construct the body and wood to carve the head. 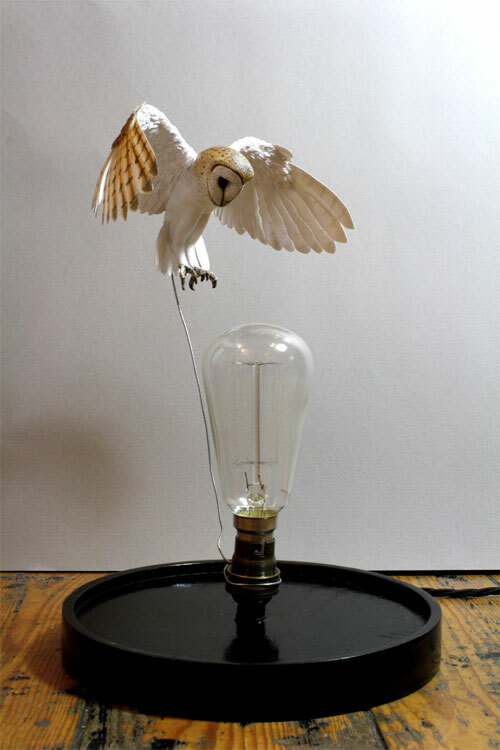 A glimpse at the extensive process behind bringing these lights to life - "The body and head of this Barn Owl is hand carved from layered sheets of Bass wood, the eye sockets are hollowed out and acrylic plastic balls set in for the eyes. 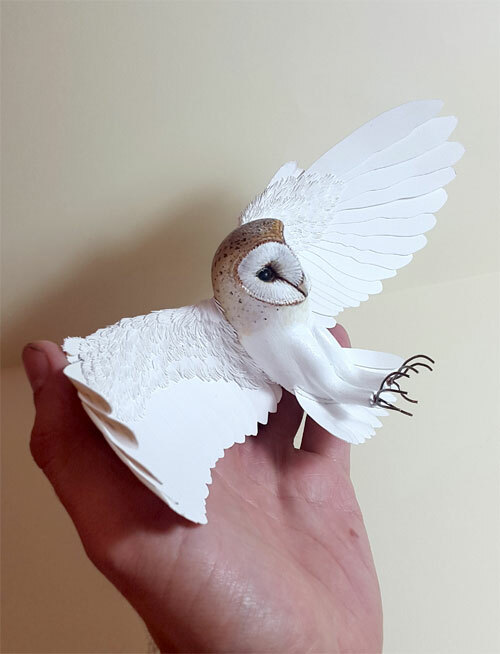 The eyelids are then created from air dry clay. 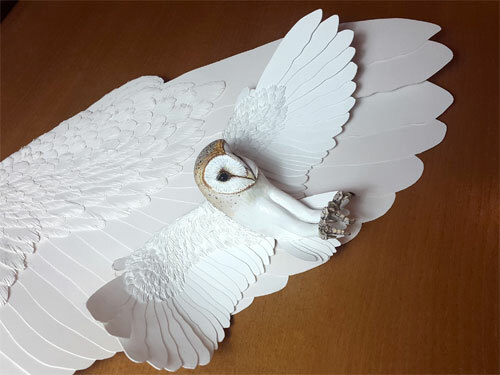 The lengthy process of cutting out and creating all the wing and tail feathers from paper. 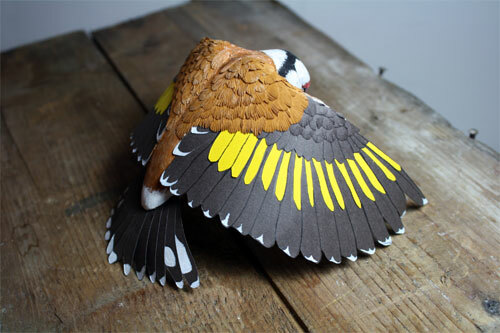 The tail is fixed in first, then the wings, details drawn and painted in, again with acrylic paints. 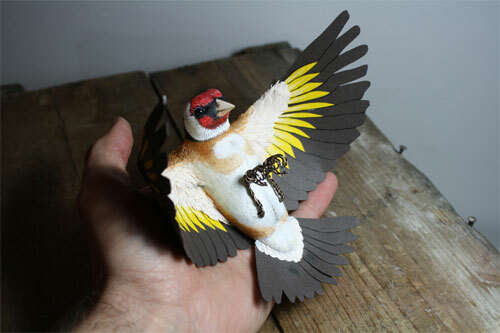 Then to finish off the bird I spray it with a matte varnish to seal and protect the paintwork and paper." 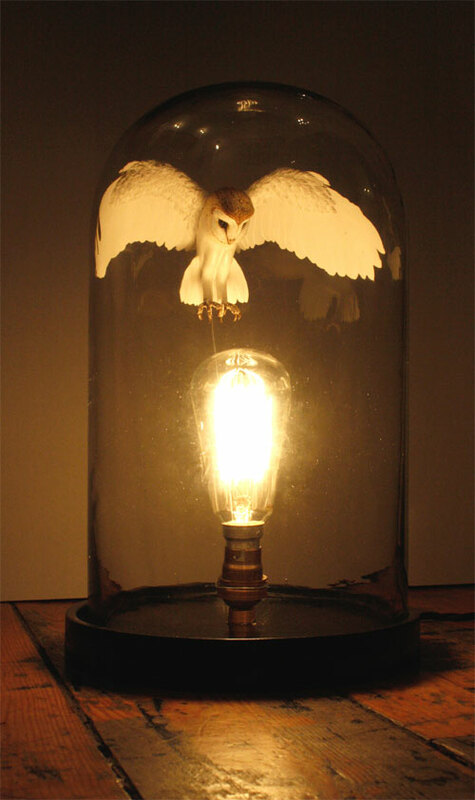 The lights are available for purchase on the artist's website but with a hefty price tag. 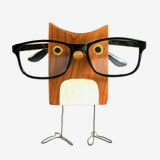 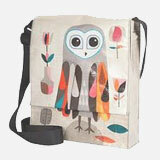 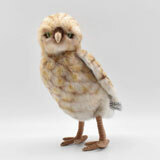 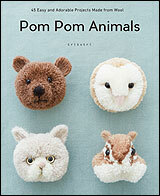 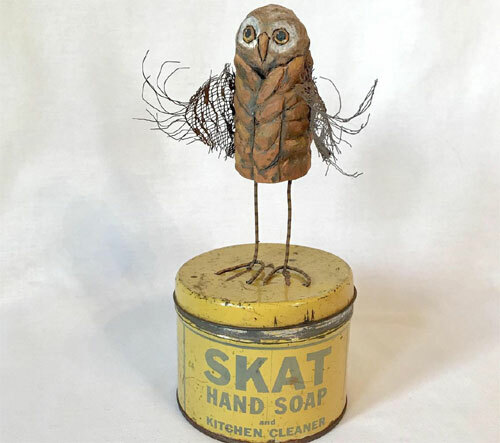 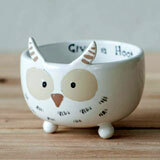 There are also diy kits to make your owl birds with the help of instructions and video tutorials. 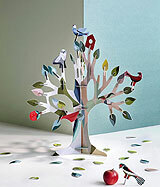 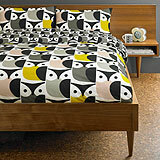 Those birds and the whole concept are gorgeous!